Welcome to Driving Lessons Ayr / ADI Driving Instructor Training Ayr. My name is Gordon Collie. As a fully qualified ADI, I have an excellent pass rate and many years’ experience in driving tuition as well as rescue training Potential Driving Instructors for their part 2 and 3. Driving Lessons will be tailored to your needs, you will learn in a friendly and relaxed atmosphere which will help you focus during your driving lessons and eventually pass your test much quicker. 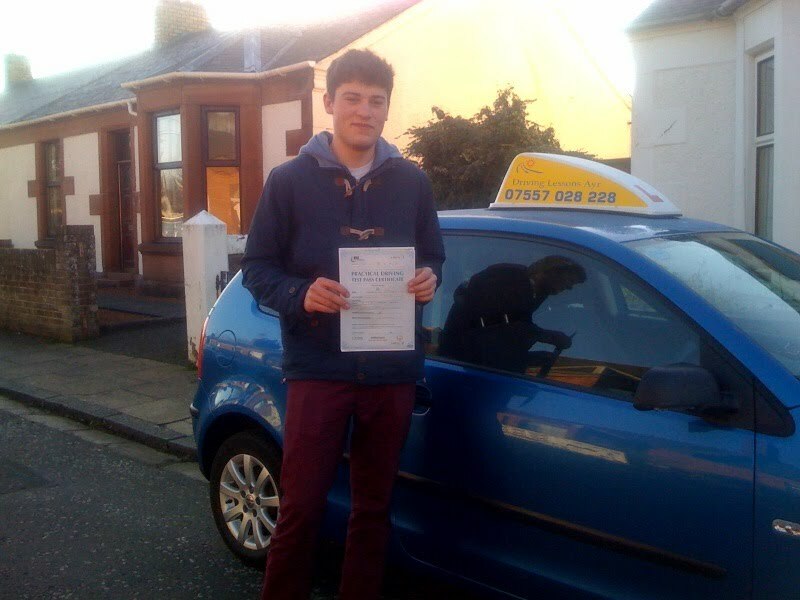 I offer 1:1 driving lessons, mock tests around driving test routes in Ayr, help with theory and hazard perception test – laptop provided, Pass Plus, intensive driving lessons daily and weekly courses, block booking discounts (please refer to "Fees" in the navigation sidebar on the right), pick-up and drop off at your chosen location, early and late availability (6:30am - 11:30pm). Although independent, Driving Lessons Ayr / ADI Driving Instructor Training Ayr is bound by the rules and regulations set out by the Driving Standards Agency, an Executive agency for the Department of Transport that controls the Register of Driving Instructors. I am therefore committed to the process of Continuous Professional Development (CPD) and am also a member of the Driving Instructors Association (DIA). Areas served for driving lessons: Alloway, Ayr, Cumnock, Prestwick, Troon, Maybole, Kilmarnock and more. PDI / ADI Driving Instructor Training provided in North Ayrshire, East Ayrshire, South Ayrshire, Dumfries and Galloway, East Renfrewshire, Lanarkshire and Glasgow. assisting you with your Theory and Hazard Perception Test preparation whilst on the move in every driving lesson, laptop provided. 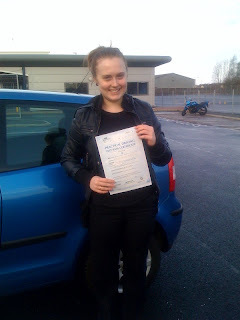 Congratulating Amy Harris for passing her driving test in Ayr Test Centre last week! Well done, Amy -drive safely! You can choose a Gift Voucher above for Special Occasion such as: Graduation, Birthday or simply for Passing the Theory and Hazard Perception Test. Please contact me with any special requirements you might have. Promoting businesses and websites across the Internet.